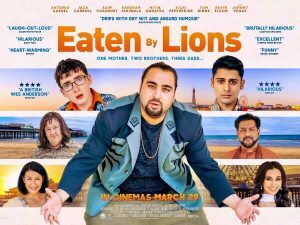 Jason Wingard’s British comedy Eaten By Lions follows teenage brothers Omar and Pete as they head to Blackpool in search of Omar’s absent father. 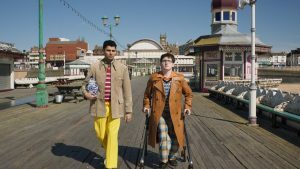 Starring Antonio Aakeel as Omar and comedian Jack Carroll as Pete, the supporting cast includes comic greats Johnny Vegas, Asim Chaudhry and Tom Binns. A hilarious and sharp take on family in modern Britain, it takes in race (Omar’s father was Asian), disability (Pete uses a walking frame), identity and parenting – through the medium of Gremlins, The One And Only by Chesney Hawkes, and, er, a medium. Sarah: I saw Eaten by Lions when it came up the London Indian Film Festival last June [where it won the Audience Award]. Was that the first time you’ve seen it in front of an audience, and what was their reaction? Jason Wingard: I’d seen it once before in front of an audience, a private screening to see how it was going down with people. I mean, it’s always nice, isn’t it, with a comedy to see it with an audience particularly if they’re laughing! There’s no real hiding place with a comedy – if they’re not laughing you know it’s not working. But it’s a film that works really nicely with a broad audience actually. We’ve had some lovely screenings, including one in Birmingham with a largely a black and Pakistani or Indian audience – they really went for it. That’s obviously what you want with a comedy film, isn’t it, to see that people are enjoying it? It’s always a bit strange because you sit and read about what other people make of it and it’s not to everybody’s taste, but I think that’s comedy in general. It’s like you say, watching a comedy is a kind of social event in itself. When you’re with other people it becomes a big social thing, doesn’t it? It’s the same in stand-up. It’s always strange when I watch stand-up on television. But watching it live, there is something about that social event which changes it. And I think it’s the same with comedy films. You started off in stand-up, didn’t you? I did, a long, long time ago. It feels like a galaxy far, far away now but I suppose what it helps with – making films – is understanding what the comics need once they’re on set, giving them a platform to be able to perform. In Eaten By Lions you had all these really funny actors together. Did you have to keep them on a tight leash? Did they end up trying to out-funny each other? It’s almost like a football dressing room isn’t it, because you have different personalities, different egos, and they all need different things. For example, Johnny Vegas [who plays Blackpool B&B landlord Ray] is naturally a very gifted comic who can riff at the drop of a hat, and you actually want him to save all his energy for the camera. 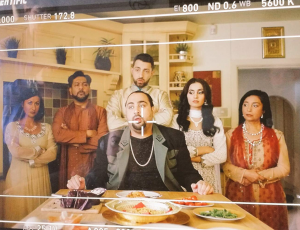 Asim [Chaudhry, who plays Irfan, part of a large Blackpool family which may or may not include Omar’s dad] would be thinking about what’s going to work on screen. And the two young boys needed something different again. Jack in particular is such a warm and likeable character you want to get that on screen. So we worked hard with making him almost not act and be himself, allow his natural charm to come across. He’s very likeable. With Antonio it was more about dealing with the emotional side of the film, and he’s more of a trained actor than Jack I suppose. So it was interesting trying to deal with all of that. Me and Tom had done quite a lot of work together so it was a very easy relationship. I felt, okay let’s do this reading, he knows this material inside out. There was lots of corpsing when we were doing those scenes. How do you actually film that without just starting to laugh? Well, they just did laugh actually. When we did the short [Going To Mecca, on which Eaten By Lions is based], they kept reacting and laughing so much I eventually replaced the boys on Tom’s close-up with two plant pots for his eyeline. Tom was doing all of his jokes to plant pots. So if in doubt, you can just remove your actors. But he is so professional he actually doesn’t necessarily need somebody to play off. I loved Tom’s line about how the spirit world can see everything even through duvets – because that’s what everyone worries about ghosts. Not so much being scared but “what if they see me naked”. Tom and I worked together many, many years ago. The BBC said to us go off together and make some pilots, and we did, which eventually Tom made into a TV series, although I wasn’t involved at that stage. But we had such a nice, easy relationship – we’d bounced off each other, and throw different ideas in. I suppose that’s the important thing with comics. If they’ve got trust in the director they’re quite prepared to take some chances, and I think the comedy thrives when the performers are taking chances. Were your performers ad-libbing at all? Probably 80% was on-script and then a lot of the stuff we did ad-lib. We’d get scenes done verbatim and then we’d go, “Okay, let’s take the gloves off now and we’ll just riff.” And by that stage everybody’s starting to relax and it becomes funny in the room. The main thing was to try and stop Jack laughing actually. He was laughing all the way though. But he’s working with his comedy heroes, and he’s sat next to Johnny who’s is going into his role-play, and Johnny’s very, very funny in the room. Tom was making him laugh, Asim was making him laugh. And actually that’s the way it should be – surely on a comedy film everybody should be enjoying themselves. 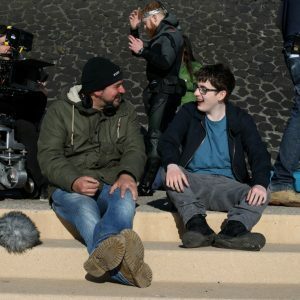 I loved the chemistry between Antonio Aakeel [Omar] and Jack Carroll [Pete]. You already had Jack Carroll cast. Was it hard to cast Omar? To find someone to play a completely different personality to Pete, when Pete is such a strong character? Omar is never overwhelmed but you could see how that could happen. Essentially, it’s Omar’s film, so it’s his journey. We knew that the emotional weight of this stuff was going to land on him. There is a nice chemistry between the two of them. It feels natural – and when they’re annoying each other, which they did in real life as well, we captured some of that. Then it feels more like a brotherly relationship. Because you’re got to make the audience accept within a few minutes that these two characters are brothers. Like the scene where Pete’s just walking up the pier doing his Mr Omar voice, that is the kind of thing that Jack would do to people anyway to irritate them. And so there’s something quite natural and nice about those kind of things. It’s based on your short, Going to Mecca. Was it always your intention to make it into a feature? It was a bit strange actually, because there were other ideas that I’d always been pitching. But it’s so difficult to raise finance for stuff – sometimes you have to go with what you can attract money for, and this was one that always came back. It wouldn’t go away. People seemed to like the idea and they saw it as a good vehicle for Jack. When we made the short, originally the BFI had said let’s make it as a precursor to making a feature film, but the teams changed and other people didn’t quite see it that way. So we got some support from the BFI but then it disappeared, and it felt like we were on this endless conveyer belt. But then all of a sudden there was interest in it, and we wrote a script and we got money for it and that was enough. As soon as we started attaching people, it started to happen – which is often how films are made, actually. It can fall away at any moment. You’re working hard, and you get to that final hurdle, and all of a sudden some money could disappear and your film never gets made. I actually made another film while I was making this with the development money I had for Eaten By Lions because of that. I knew that it was such a shaky territory, I didn’t even know whether Eaten By Lions was ever going to get made. As it happened they both got made, which was great. With your producer’s hat on you’ve got to be a little bit savvy. But the best way to do it is to go and make some films at whatever budget level you can get them done at. It’s always hard. The best advice for producers is if you can find one wealthy investor then make sure you make friends with their friends. You co-wrote the film [with David Isaac]. Is there a particular character that you have a soft spot for? Parveen’s one that I really like. 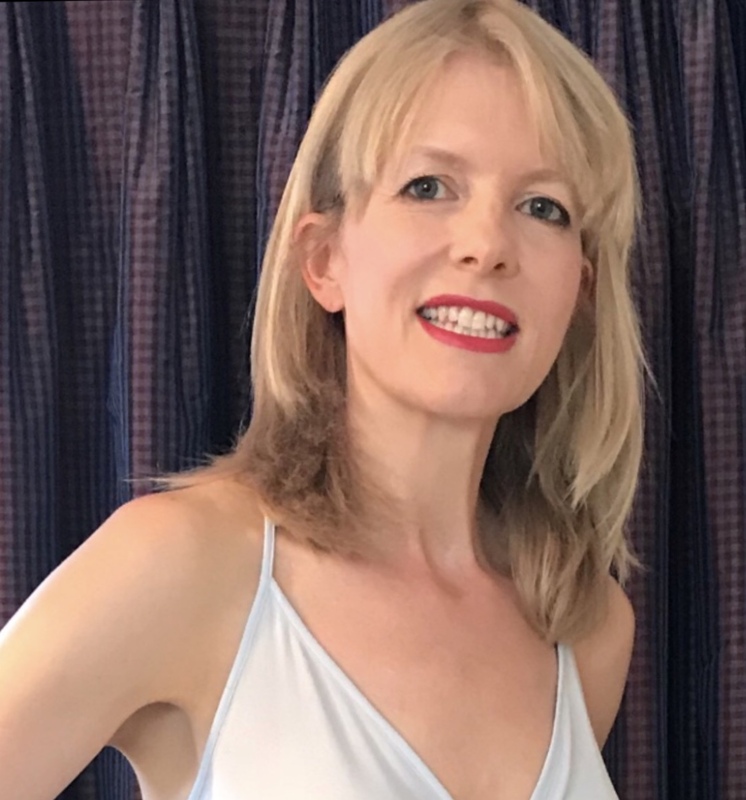 It was a bit of a weird one because when we were writing, originally we were going, “Oh, it’s quite easy to write the male characters” and so I spent quite a long time trying to write this female character. I wanted her to be funny in her own right. So with Parveen there was a lot of fun to be had with this mischievous pretend-mute and what was going on behind that. Her whole family is a little bit crazy aren’t they? What I like about her is that she knows she’s starting to get this power as a woman, but she doesn’t quite know how to wield it. She reminds me of a Harry Potter character when they get their first wand. Yeah just a bit rubbish with their seduction. Like she’s learnt her seduction from loads of movies or something. That’s quite interesting, and I wish we’d explored it a little bit more actually, but you live and learn. That was really funny. A friend of mine works in the art department and designed me something where it all came out, and it just looked ridiculous when we did it. But it made everybody laugh on the set. It was the very last day shooting, so we were a bit tired. Six in the morning, I think we did that vomit scene. If you’re writing a novel, the characters can take on their own ways of doing things. Is it the same if you’re making a film? The film itself kind of became more sentimental in the cut. You know, it’s a strange process. So, what we were imagining, it didn’t quite come out that way. I think you notice it more with comedy than you do with other genres. But the performances in the short, we did it slightly differently. There were slightly more heightened performances in Eaten By Lions and if you watch and compare the short, you’ll be able to see it. We went for something a little bit more realistic in the short, and we went for something a little bit more lampooned and heightened in Eaten by Lions. We’d been trying different things out as we’d been going along. It’d be interesting to see a more realistic Parveen as well. A spin-off with Parveen would be fantastic. Have you met any of your heroes, particularly with Eaten By Lions coming out? Are there still people where you get tongue-tied? You do, though it happens less and less now. When I was younger, it would happen all the time but it’s just people, isn’t it, at the end of the day? And actually they don’t like it either. They much prefer to just talk to you. I bumped into somebody recently. I won’t say who it is but I follow them in Twitter and I really like them, and we had this lovely conversation. Yes that would be even better if it was kind of A Stars In Your Eyes thing, thinking it was just some bloke! I think that you put yourself under a lot of pressure. The first time I met Johnny Vegas, I was tongue-tied. But he is lovely, one of the most normal down-to-earth characters. You become mercenary about it: “we don’t have to be mates we just have to make sure it works on screen”. And actually a lot of those people, if they were difficult on the set, they warm up once they see something. They’re going through a different kind of thing to you, I suppose. They’re worried, they’re vulnerable in a different way, and so you start to understand actors and performers a little bit more as time goes on – and not take it to heart really, if it doesn’t work out. No, they’re not. We were discussing how we were going to make that. At one point we were going to get them made but with my very limited CG I came up with the solution for the effect on it. It’s a mix of a practical pen and a bit of a CG effect as well. We had a woman in our costume department wear a sari and a burkha for us and we managed to mix the two together. But It’s a lovely effect and I would buy one! We had lots of other novelty items but I said “which of these is going to get us in trouble the most?” and we took them out. You don’t want to offend anyone for the sake of comedy, but I think those things were completely acceptable. A Blackpool prayer mat and that burkha pen. 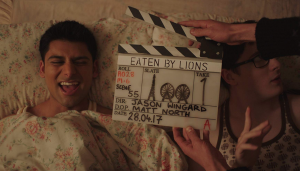 Eaten By Lions is released in the UK and Ireland on 29 March 2019. Check out my review, the trailer and the original short.